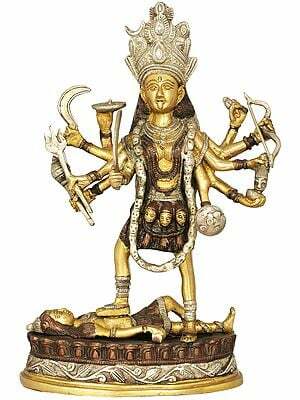 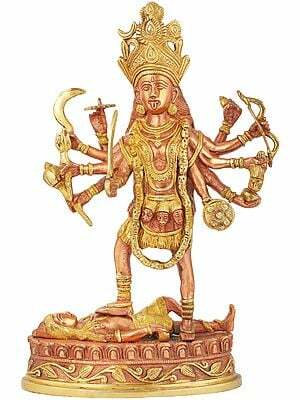 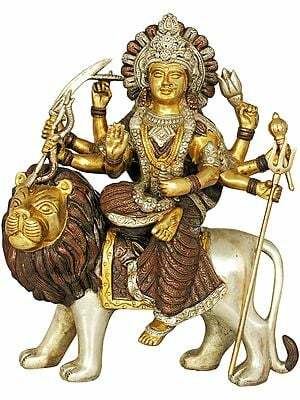 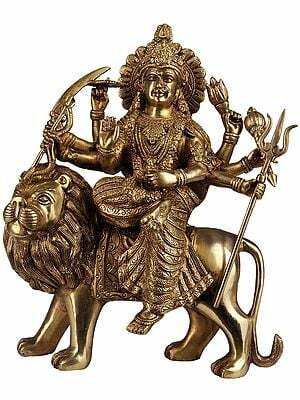 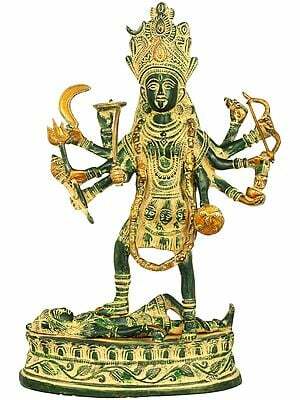 The strengths of all the devas coalesce into Her, the all-powerful Durga, born to vanquish the ausra of the asuras, Mahishasura. 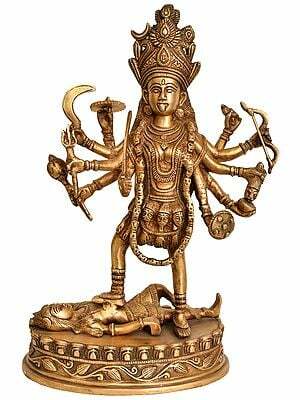 She is the very picture of the ferocity that powers the destruction of all three realms of existence, a garland of severed adharmi heads covering the naked torso of Kali, bloodshot tongue and eyes characterising Her dark countenance. 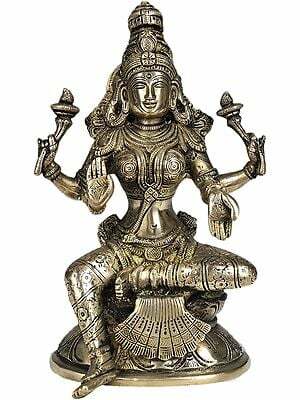 She personifies the love and nourishment of the feminine presence, the complement of the masculine life-forces in the form of Parvati, Lakshmi, and Sarasvati. 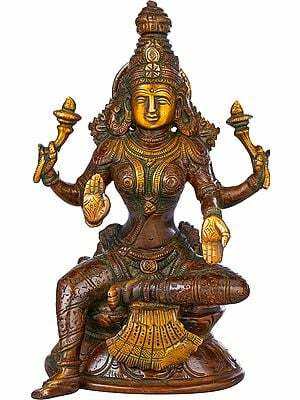 She is the all-important Devi, the goddess as illustrated by the Hindu pantheon. 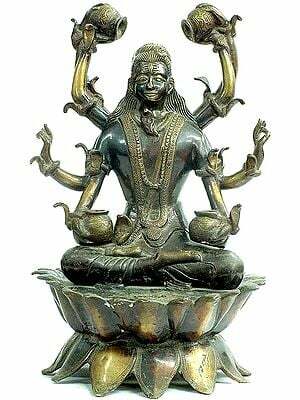 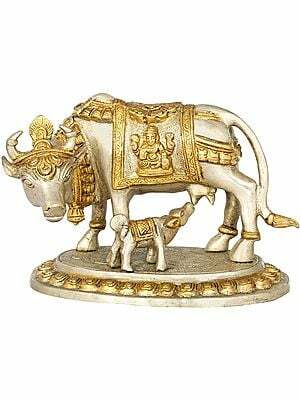 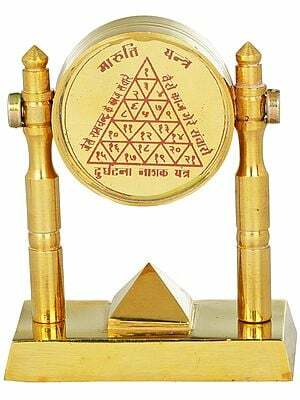 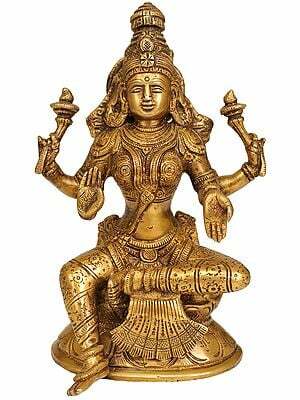 The Devi stands for prakriti, the equivalent of matter, while Deva stands for purusha, the equivalent of energy. 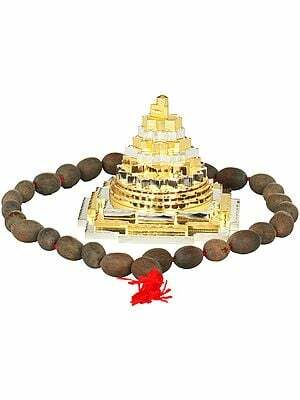 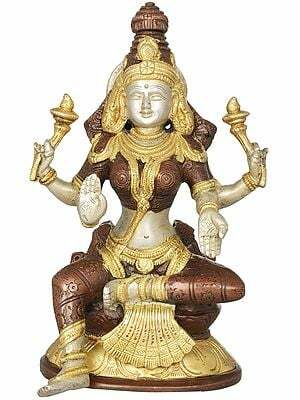 The Devi has been worshipped in numberless forms since before the Vedas were conceived, and continues to hold a much-venerated position in the everyday lives of Hindus to this day. 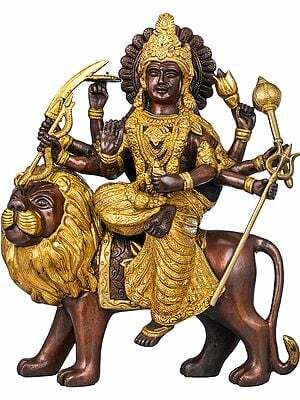 The Devi or Hindu goddess is all-encompassing. 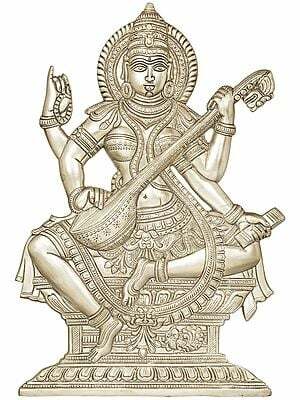 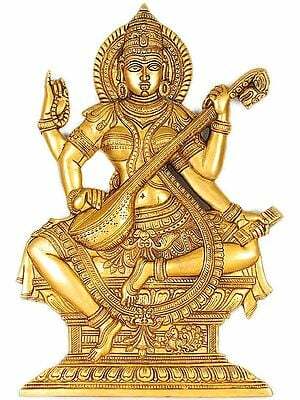 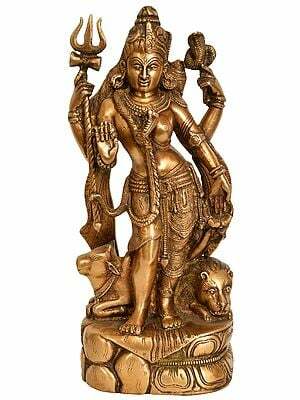 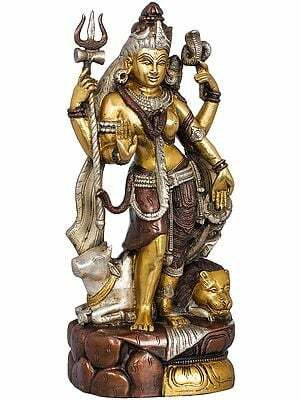 In some forms She manifests transcendental qualities such as power (Parvati), learning (Sarasvati), and strength and ferocity (Chandi or the Mahavidyas); in others She is the personification of other subjects of worship such as earth (Prithvi), ethics (Aditi), and forests (Aranyani). 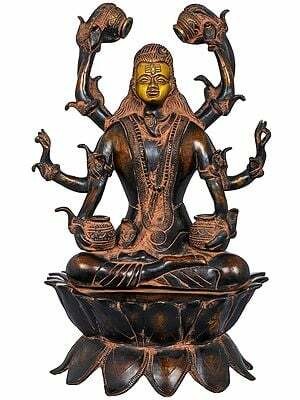 Each of the Devis are given different names depending on which part of the subcontinent the devotees belong to and the language they speak, not to mention the iconography of the devi Herself. 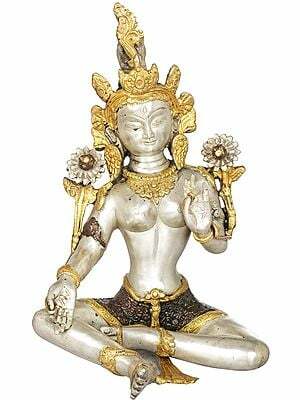 For example, Lakshmi seated on an elephant is Gajalakshmi ('Gaja' in Sanskrit means 'elephant') and Sarasvati seated on a lotus is Padmasana Sarasvati. 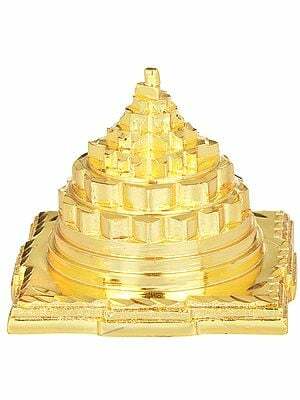 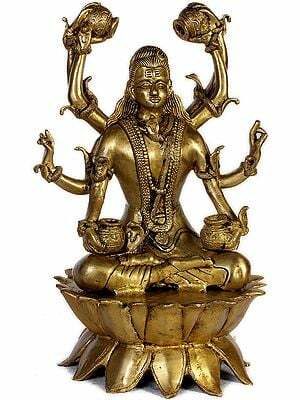 From lesser-known devis worshipped in obscure pockets of the subcontinent to the entire tantric pantheon, this section features our complete collection of devis fashioned in the medium of brass. 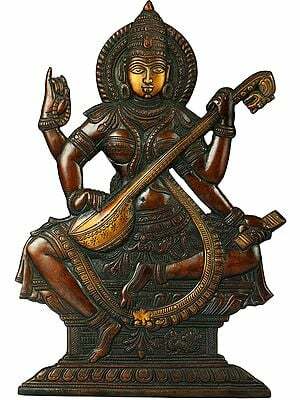 The iconography is diverse. 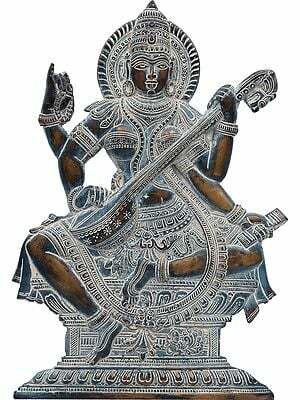 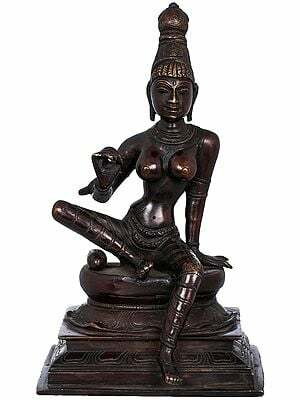 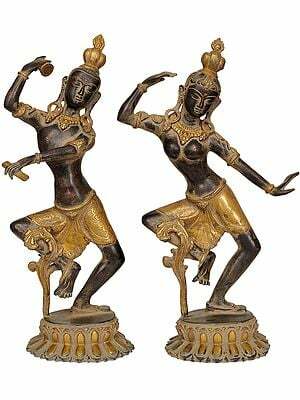 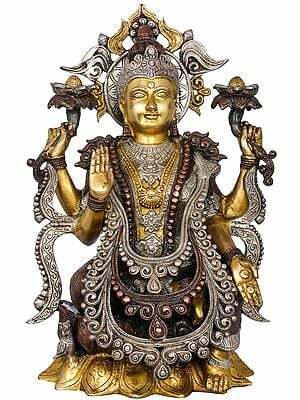 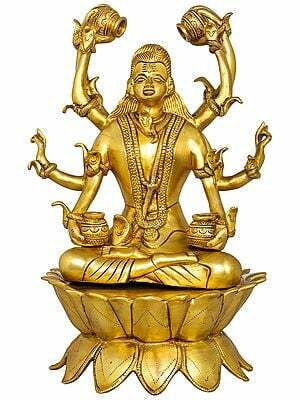 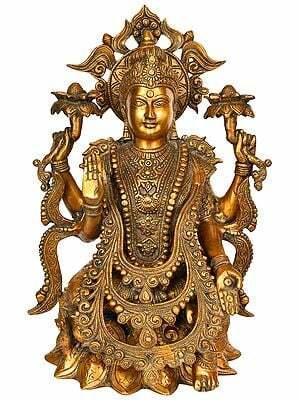 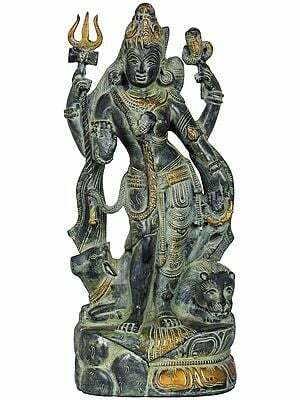 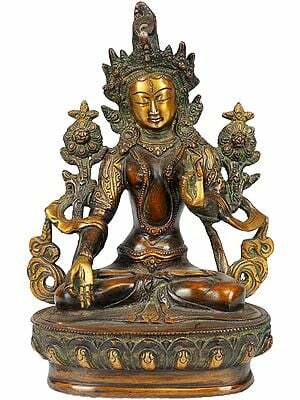 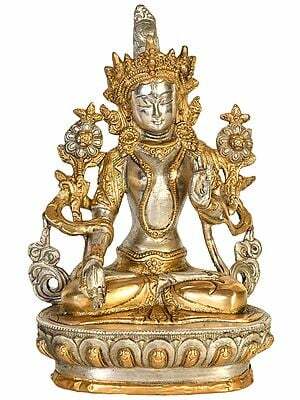 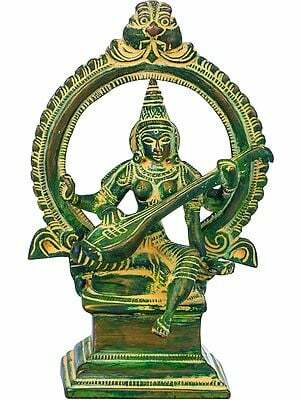 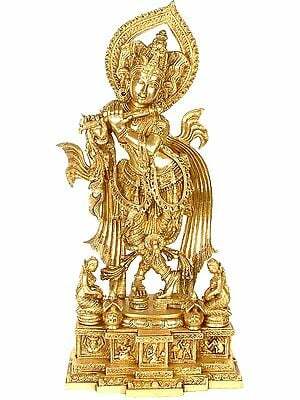 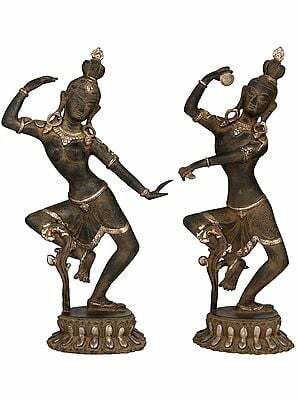 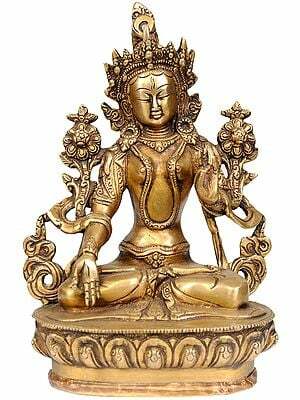 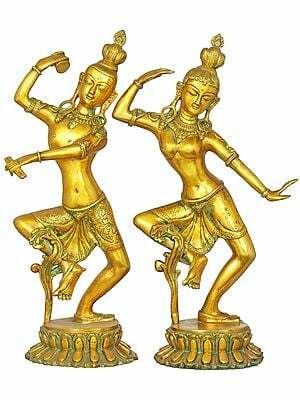 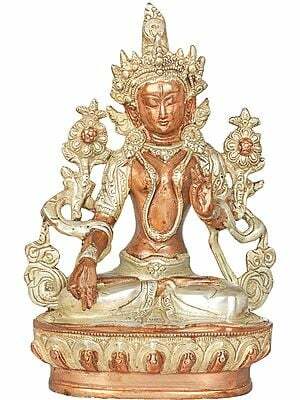 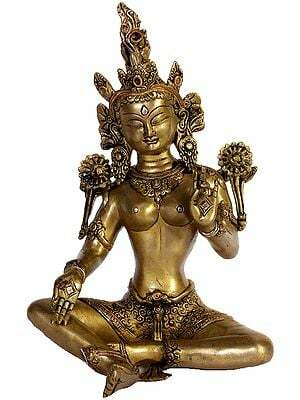 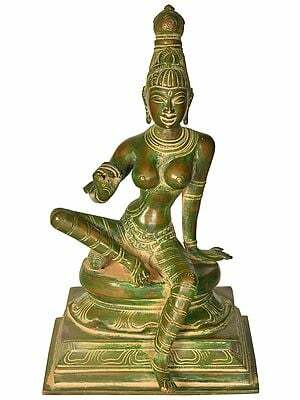 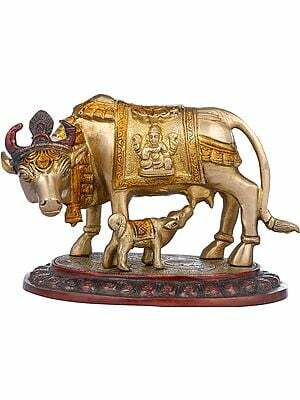 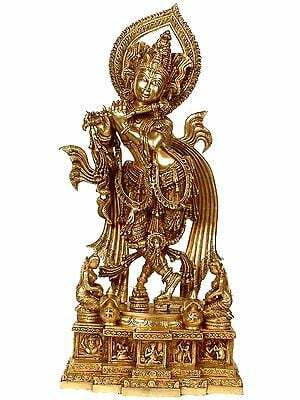 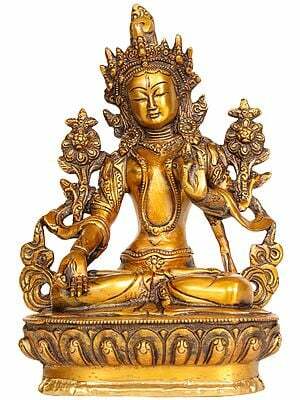 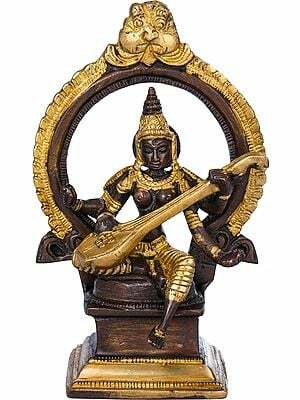 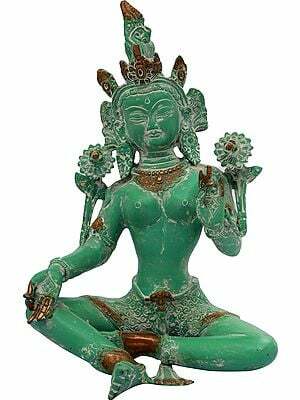 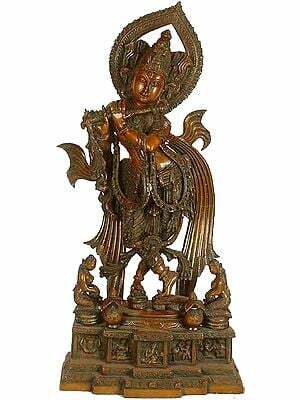 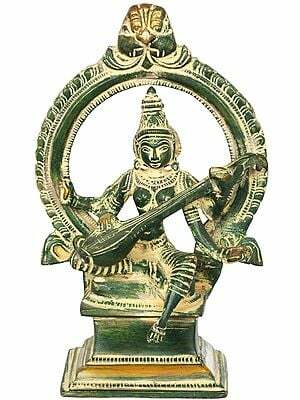 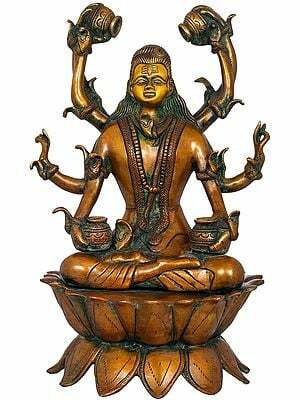 The Devis in question are in wide-ranging postures - from standing and blessing devotees, to seated on their vahanas and blooming lotuses, these brassworks are sure to have the murtis of your Devi that resonate with you. 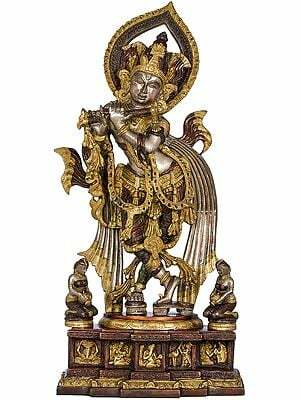 Handpicked for aesthetic perfection, each of these works of art are replete with elaborate pedestals and iconographic conformism. 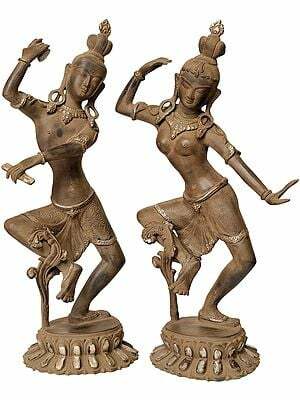 Some of these come with diverse types of finish such as to aesthetically blend into a variety of spaces where you would want to house them. 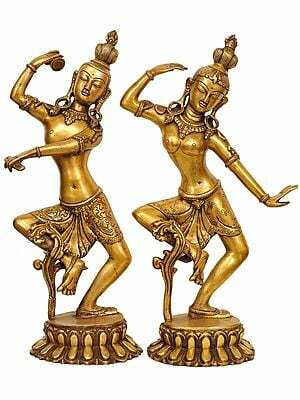 These include but are not limited to natural gold-like resplendence, the washed out look of ancient stone sculptures, richly coloured inlay on metallic foundations, and natural pastels such as tints and shades of brown. 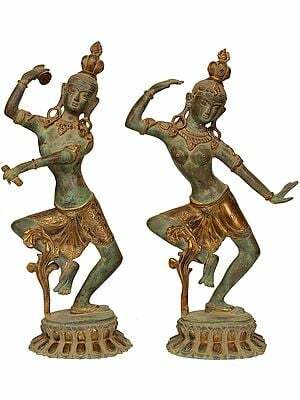 This section also includes conchs, lamps, masks, and makeshift temples with the imagery of the devis. 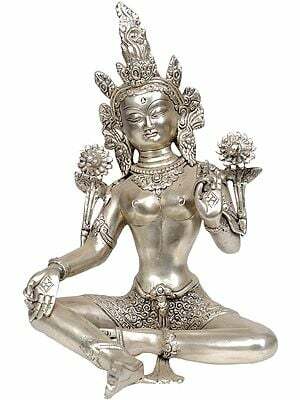 Not only would each of these pieces be highly conducive to your worship, they are also finished with great skill and devotion.